This image from NASA's Mars Reconnaissance Orbiter (MRO) shows the location with the most impressive known gully activity in Mars' northern hemisphere. Gullies are active in the winter due to carbon dioxide frost, but northern winters are shorter and warmer than southern winters, so there is less frost and less gully activity. 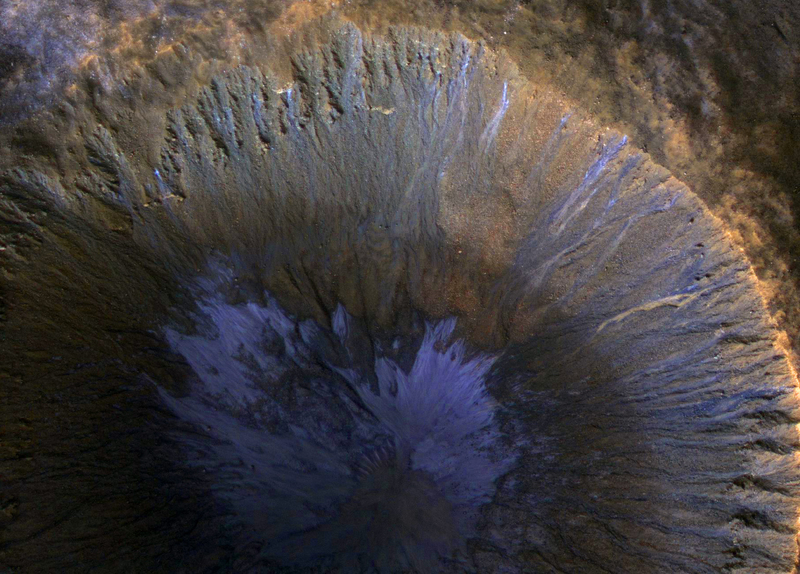 An enhanced-color image cutout shows recent gullies with bright colors.